President Tsai told that Taiwan is the best for developing medical industry. Taiwan Healthcare + Expo 2018 has its grand opening today on November 29. More than 415 hospitals and enterprises attended the event. At the opening ceremony, President Ing-wen Tsai said that including top medical technology, Taiwan has three major advantages. Thus, Taiwan has become the best place for medical industry development. Jia-chyuan Su, President, Legislative yuan, told that Taiwan has become a mecca of R&D and manufacturing and has spared no effort in the smart health community. This exhibition will be a platform for information exchange, allowing professionals and the public to join the smart medical industry. Su also said that many medical talents are invited to this exhibition to showcase the results of smart health. Kaohsiung Medical University Chunh-Ho Memorial Hospital (KMUH) also participated in the event. Su emphasized that the HIFU technology pioneered by KMUH is a new technology allowing doctors to remove tumors in the body without cut or pierce the skin. The success rate in use is 97%. 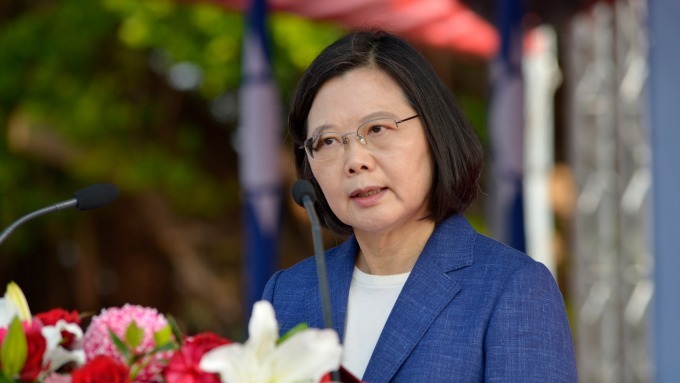 President Tsai stated that since Taiwan has three major advantages, including "top medical technology", "comprehensive technology industry supply chain", and "sufficient energy of biotechnology manufacturing industry", it is best place for medical industry development. Taiwan not only established new guidelines for global disease treatment but may also become a leader in many worldwide medical cases in the future. In addition, Taiwan’s hi-tech industry becomes a strong back up for medical technology innovation. A total of 415 Taiwan’s hospitals and companies and more than 20 overseas companies participated in the event this year. Additionally, a total of 90 startups from home and abroad competed on the same stage. There were 1358 booths, 20 industry conferences and more than 3000 overseas visitors presented in Taiwan Healthcare + Expo 2018. Moreover, there were 200 overseas media reports. The exhibition this year has set three firsts. It is the world's first hospital-oriented exhibition, with medical as the core and all-round integration of the surrounding industrial chain. And, the exhibition website in the global rankings also defeated Dubai, Japan and German and won the first place in Asia. In addition, the number of participants abroad is also the first among Taiwan’s professional exhibition.